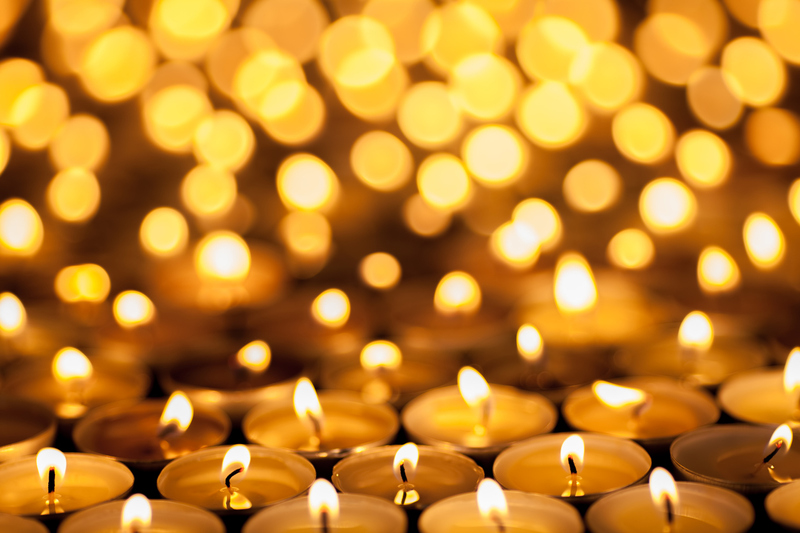 Many religions around the world have a celebration in fall or winter that celebrates light. The short days and long nights after the harvest were a time of stillness and reflection. The winter solstice marked the end of darkness and the return of the light. Even Judaism and Christianity have incorporated the return of the light into their winter holidays. Hannukkah, the Feast of Light, celebrates the rededication of the Temple after the victory over the Syrians, when a one-day supply of oil burned for eight days. Christmas is celebrated as the time of the birth of Christ and the coming of the light of God into the world. For Hindus, the celebration of light is called Diwali. The word “diwali” comes from the Sanskrit word “dipavali,” which means “row of lights.” One of the most popular festivals in Hinduism, Diwali celebrates the victory of good over evil, knowledge over ignorance, and light over darkness, with the homecoming of Lord Rama and his wife Sita from a fourteen-year exile. The five-day-long celebration is observed around the new moon which ends the month of Ashwin and starts the month of Kartika in the Hindu lunisolar calendar. The night of the new moon is the third day of Diwali and is usually celebrated in late October or early November. This year’s celebration occurs on November 7. To prepare for Diwali, celebrants clean, renovate, and decorate their homes, their places of business, and their local temples. During the festival, the cleaned spaces are festooned with fresh flowers and brightly lit with candles and lanterns. Each day of the festival is marked with specific tasks or celebrations. The first day of Diwali is called Dhanteras, “dhan” meaning wealth and “teras” meaning thirteenth (the beginning of the festival). Dhanteras is the day that Hindus clean their homes and business, decorating them with diyas, small pottery oil lamps. Doorways are decorated with rangoli, designs created with rice flower, colored sand, and flower petals. In the evening, the family offers prayers and offerings to the Hindu gods Lakshmi and Ganesha. Day Two is called Choti Diwali or Naraka Chaturdasi. The term “choti” means little, “naraka” means hell, and “chaturdasi” means fourteenth. Commemorating the destruction of the demon Narakasura by the god Krishna which released a multitude of princesses kidnapped by Narakasura, Naraka Chaturdasi is a day to pray for the peace of one’s ancestors, lighting the way into the cyclic afterlife of Hinduism. The third day of the Diwali festival is Diwali, height of the festival. On this day, young people visit their elders, shops typically do not open, and celebrants wear new clothes as the community gathers to pray to Lakshmi, the goddess of wealth, as well as other deities. Following prayers, fireworks are lit, and the community shares a feast. 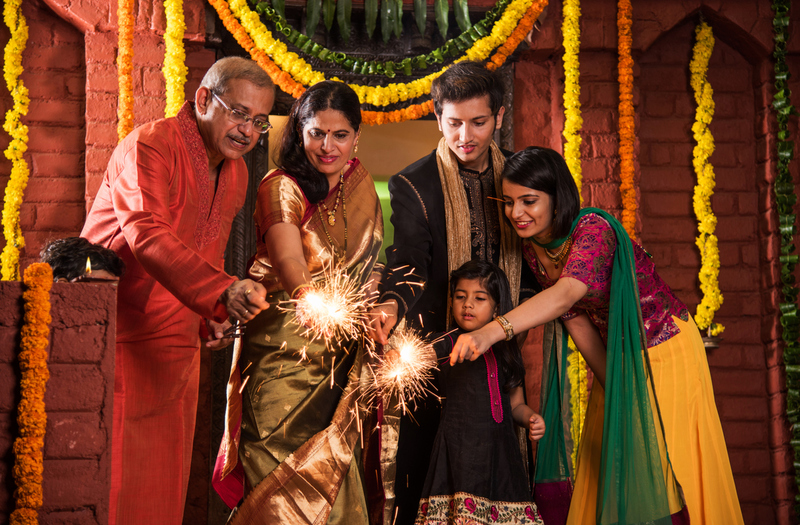 Known by many regional names (Aannakut, Padwa, Bali Pratipada, and others), the fourth day of Diwali celebrates the bond between spouses with the exchange of gifts. It is also a day of feasting to celebrate the harvest. A vast array of dishes is prepared and is dedicated to Krishna before being shared by the community. Finally, Day Five of Diwali, or Bhai duj (literally “brothers’ day”) celebrates the bond of siblings. Traditionally, the women of the community gather for prayers dedicated to the health and well-being of their brothers before feeding their brothers by hand. The brothers then reciprocate with gifts for their sisters. Like Christmas and Hanukkah, Diwali is a time when families gather together, feasting and bonding. Many towns and cities around the world organize community Diwali celebrations, called Diwali mela, complete with parades, music and dance performances, and fireworks. 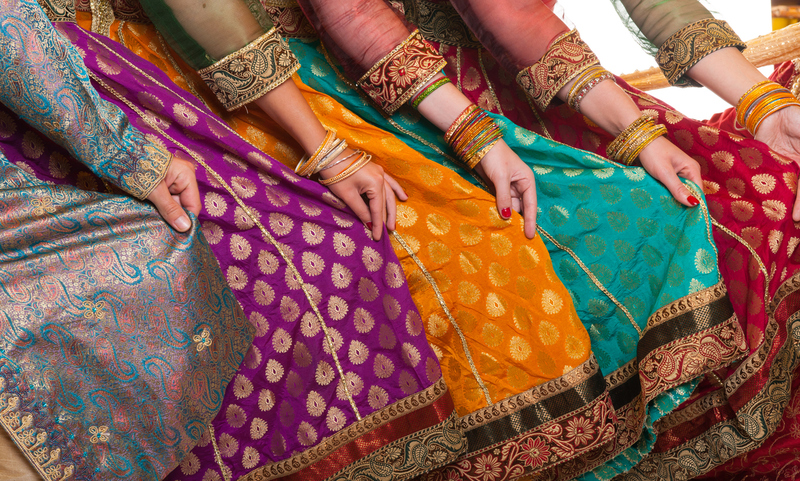 The Dallas-Fort Worth Metroplex is home to a large and vibrant Hindu community. With the support of the Dallas Fort Worth Indian Cultural Society, the DFW Diwali Mela (community fete) is the largest Diwali celebration in the United States. A grand festival of food, cultural shows, and a market, the DFW Diwali Mela is certainly Texas-sized. Bollywood singers from India give concerts. A production of the Ramlilia, a re-enactment of the Hindu epic the Ramayana, has a cast of over 150 volunteers. In addition, there are mountains of food, and every region of India is represented. It is possible to hear Tamil being spoken while eating food from Rajasthan or Madhya Pradesh while watching performers from Kerala. This multiregional emphasis, as well as the size of the crowd (approximately 100,000 people were expected this year) sets the DFW Diwali Mela apart from other Diwali celebrations around the world as they celebrate the triumph of light over darkness. This article originally appeared in a modified version in the November/December issue of Madeworthy magazine.